with a day free in Kalampaka, allowing you to explore Meteora on your own. 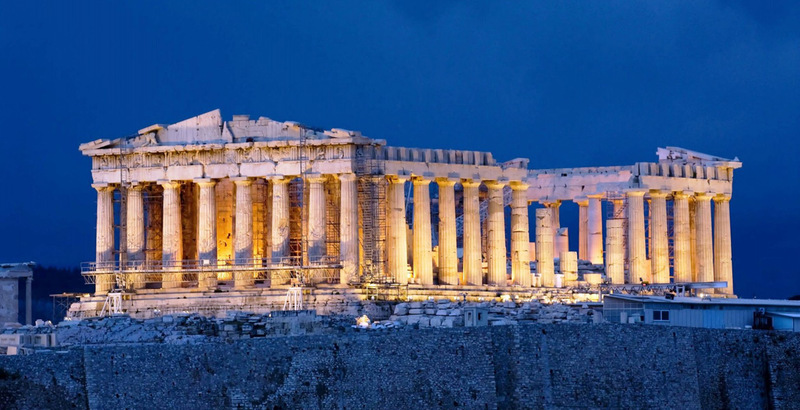 1st DAY: Depart at 08.30 from Athens and driving through rural scenery via THEBES the town connected with legendary Oedipus), LEVADIA (short stop) and ARACHOVA, the group arrives in DELPHI around 11.30am. 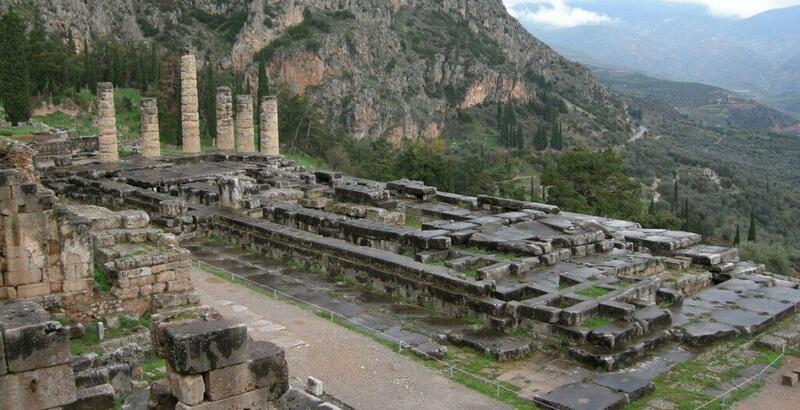 DELPHI, situated on a mountain terrace encircled by the rugged Mt. Parnassus, was considered the centre of the universe. 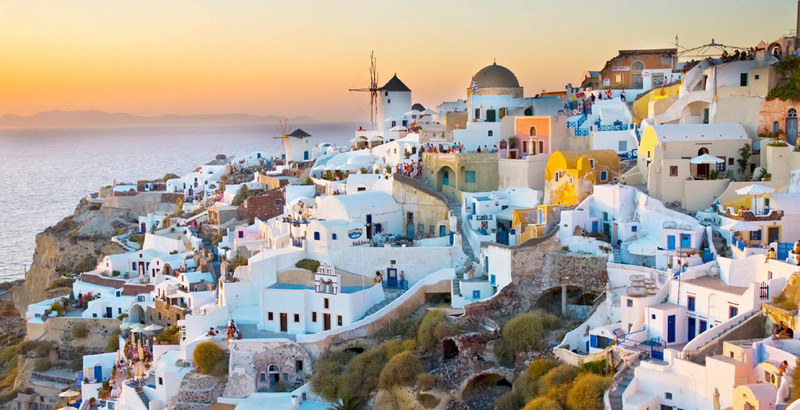 With the professional tour guide you 'll explore the legendary site of the Oracle and the sanctuary of god Apollo. 13.30 break up for lunch, and at 15.00 proceed with a short stop at THERMOPYLAE, the area where the Spartan king LEONIDAS and his 300 soldiers fought the Persians in 480 BC and arrive in Kalampaka, at +/- 19.00. Overnight. 2nd DAY: Today you are free to explore the area of Meteora. Start in the morning hiking on the path towards Holy Trinity and St. Stephen. When you get up there, sit at the edge of one of the rocks, and let your mind travel million years back. Imagine that you wet your foot in the water of a huge lake. A lake covering the whole valley. Look at the horizon and imagine the lake drying gradually, recovering all this natural beauty in front of you. This is the most probable option of how all these were created. You are in front of a geological phenomenon universally unique, where words like admire, unexplainable, impressing which we usually find in many writings can describe it's size only to one point. Follow the same path for your return or walk on the asphalt road back to Kalampaka. Relax in one of the cafeterias and when you recover walk to Kastraki and find the cave dwellings at Badovas. Here is where everything started. You will see hermitages, original cloisters, and monasteries built inside the caves. You haven't finished yet. Walk in the old town of Kalampaka and find the old Byzantine church. It's the most important monument of Kalampaka, or take the optional "Sunset tour", visit one monastery (usually the Rousanou) and capture beautiful sunset photos. Return to the hotel for dinner, and overnight. 3rd DAY: After breakfast, meet the group and on the bus this time, drive to the METEORA and visit The Grand Meteoro, or the monastery of VARLAAM and the nunnery of St. Stephen (the only flat access). Return to Kalampaka for lunch, and after lunch you say farewell to mystical Meteora and start our return to ATHENS. Arrive in Athens, +/- 19.00.